The office is open until 18:00 hours my flight arrives at 20:00. Is there extra charges to apply? Atlaschoice will display the office hours of the car hire company from which you will collect - they will have their own rules for out of hours collection. I suggest you ask them directly if it isn't shown on their terms and conditions. I have found that rental office hours in the terminal follow incoming flight patterns. This might be an offsite vendor which means you won't have a shuttle to the office, either. Suggest calling the rental office to confirm availability and change vendors if they are won't be around when you get there. When you say the office, which office do you mean, Atlas Choice or the company which is actually supplying your car? Would be very surprised if the supplying agents desk was not open ,they usually work hand in hand withe the Airlines|Flight operators. Dear friend, depends on what you wrote as the time of renting, if you wrote 20.00h, you will have no additional costs. Yes, you will pay tax after hours in pick up. Normally atlas say on booking. I dont know i am only a customer, but becouse i brought the car back 10 minuets earley they charged me 30 Euros , and i had to phone them when i picked up and droped off the car as they were not their!, if i was you i would try and find a different car hire company as they were terrable and i will not or recomend them again. The car hire company Atlas contracted to was LUZ CAR HIRE i would check you are not with them ? Not sure why you would ask this question on a review website? Ask Atlaschoice! Atlas is only an agent for the Operator. Are they referring to their own opening hours in the UK? I know they have limited customer service hours at weekends. None at all on Sundays for example. Suggest you Check with the Operator supplying the vehicle at the airport, as others have said. I believe that atlas choice would inform you if there was extra charges for being outside of office hours. Also I believe that the car hire desk would be open at your destination. Booking a car in USA can it be taken into Canada? Do they operate a free cancellation policy? For example a cancellation 48 hours before collection and a full refund? You would have to ask the specific car hire company, you cannot normally take a car out of the country. Re cancellations - terms should be readily available and should be identified on your voucher. I haven't done this, but friends hired a car in Canada a few years ago and drove it into US. Also when I last researched hiring a car in US 2 years ago, I saw a clause about taking the car into Canada; but I didn't read it carefully as I knew I wasn't going there. But you should find information about it somewhere on the website. If not there should be contact details, maybe even a freephone. Please make certain you have the information clearly in writing so that you will not be heavily penalised for taking it into Canada without permission. If they operate a cancellation policy it's usually highlighted on the website; not all companies do this. But you could also look into insurance policies which would refund you if you had to cancel due to, say, sickness, or a delayed flight. Some companies charge a penalty for crossing the border. Herz and avis are worth investigating. If you take the cheap deals through third parties I think your cancellation options are limited. Atlas Choice took my money in advance for a week long hire at LAX, setting me up with Thrifty Rentals. The desk clerk at Thrifty tricked me into signing a separate agreement, which did not come to light until I had left the USA. Thrifty charged my credit card a complete new hire fee. Atlas Choice initially said it wasn't their problem and now refuse to communicate with me. What can I do? Ask Atlas which newspaper or TV programme they would prefer you to send this story to. Tricked may be the end result. If you used a good credit card issuer like American Express they would probably help, I don't know about the others, but worth try. You may end up like someone I know - they got their card issuer to withdraw the payment, and have ended up in a long argument with the hire company's credit department. Good luck! I've had problems with thrifty and alamo in the USA. Once you've signed the agreement they've got you. If you paid by credit card claim it back. Then go on TripAdvisor and give them bad reviews. The rental industry is strictly controlled in the states if you can find the regulating body that might be another water to get your money back. Atlas are only a intermediary, you can hardly blame them for you being tricked. Thrifty are a despicable company, on a par with Firefly,I had a similar problem with them in Hawaii.It is very common practice with the majority of US companies to offer you an upgrade but not to explain what the ramifications are. Suggest you use this as a lesson learnt, try to find out who you are actually getting the vehicle from before you book in future, and always steer clear of Thrifty and their ilk. I think, firstly, you can post a claim through the form at AtlasChoise. We had another kind of situation, which was fully a fault of the renting company, but still AtlasChoise tried to sort this out with them. They should know how to deal with their partners if they are trying to be an agent. In the end only the claim stated to our bank helped and the money were returned. So I suppose, you can also try contacting your bank. Contact your credit card company. If the money has been taken fraudulently, as it sounds like it has, then they should reimburse you. I retrieved a charge made against my credit card by Gold Car at their rental desk by getting the credit card company involved, disputing the charge when I received my credit card statement. I needed to write to the credit card company to raise the claim and support it with evidence that I had been wrongly charged for excess when the car had been returned with no damage, and no motoring fines incurred. Hire through Atlas normally requires you to print off a voucher before your travel and you must hand that over to the rental desk clerk. You may need to demonstrate that you did this. The credit card company should help you as you were charged twice for the same hire. It is in their interest to deal with fraud effectively. It may take up to six weeks for the credit card company to resolve this. They are usually very helpful as they want to retain their business. Good luck with your claim. When using an Agent such as Atlas make sure that you read the name of the Company renting you the car. NEVER EVER use Thrifty they use very dubious tactics and you will ALWAYS end up paying MORE; they are NOT THRIFTY. As far as your problem is concerned your first port of call should be your Credit Card Company but you will need to provide all evidence that you have been charged twice. Easy if you used the same credit card but you will still need both the Atlas and the Thrifty agreement. See Steve 1263 answer as he is absolutely correct. Best of luck but always check who Atlas have arranged your car hire with by reading their confirmation. If you chose to sign a new rental contract with Thrifty, that has nothing to do with Atlas choice. You need to take it up with Thrifty. On the other hand, if you signed 2 rental contracts with 2 different companies for the same dates, you can't really blame anyone but yourself. "The desk clerk at Thrifty tricked me into signing a separate agreement". "Thrifty charged my credit card..." Atlas Choice are only a broker. Depends what actually happened but it appears you paid them in advance for a service. If you received that service (or you cancelled it without informing AtlasChoice?) then why are you pursuing Atlas Choice? Your issue appears to be with Thrifty but until you explain what you mean by 'tricked', nobody can offer advice. If they advised you to cancel your existing agreement without informing you of any penalties then it's Thrifty who're liable to refund the money you paid to Atlas Choice. You can try contacting your credit card company, but given Atlas Choice haven't done anything wrong, I can't see why you're liable for a refund from them. Any refund would come from the seperate agreement you were 'tricked' in to purchasing, but you'd have to explain what you mean by 'tricked'. Is it okay if I use my debit visa card to hand over to Atlas car hire when I arrive? Or is it master card I need? You will need your credit card, and further one note, I selected the gold option when booking my car recently thinking I was covered for any excess in the event of an accident only to find that their partner required a further £169 to lower my excess to zero. I found Atlas customer services very poor. The credit card you made the booking with, debit cards are not acceptable,and you would not want to use one, as a credit for the excess insurance has to be left with the car hire company. I used my debit card with no problems. Some rental companies will maybe take a higher deposit at time of booking and some don't - Atlas was £60 and Europcar was £130. Simple way to resolve it is a quick phonetical! It is important to have a Credit Card. Most hire companies will not accept a debit card. The reason is that with a credit card they can 'block off' an amount of money. When you return the car, they cancel the charge. They cannot do this with a debit card. It does not have to be the same card as the one you paid the deposit with, if that was required. It has to be a credit card. They will not accept a debit card. Has to be a credit card a debit card or charge card won't do. Best to use Credit card - Halifax Clarity or PO Mastercard with no foreign currency commission. It needs to be a credit card and they will put a hold (not a charge) on your account when you collect the vehicle, thus reducing your available credit. This is released when you return your vehicle (undamaged) and usually this clears from your account after about 5 working days if you are hiring outside the UK. It has to be visa not debit card. The voucher you download states: "THE LEAD DRIVER MUST HAVE A VALID MAJOR CREDIT CARD. Solo and Maestro are not accepted." You will therefore need a credit card, not a debit card. Do beware as in Malta my credit card was debited by the £1200 damage deposit when I rented the car and it took over two months to get the money back, with no apology from the hire company. This was not an Atlas problem, but due to the local GOLD agent at the rental desk who did not know how to RESERVE the amount against my credit card as deposit in case of accidental damage, traffic fines etc. Suggest you consider taking out annual policy to cover excess charges before leaving UK as if you buy from the car rental at the desk it will increase your car hire costs by around 50%. Have a great holiday. You nearly always need a credit card, not a debit card. If you haven't got a credit card, they may well "borrow" a few hundred $ £ or € in case of any damage done. So you'll need plenty of cash on your debit card account. But best to check first. If my wife drives the car, is she considered an additional driver? Your wife is considered as an extra driver by the majority of car hire companies,but not all. This normally means an extra cost. You have to check at the time of booking. Of course she would be considered an additional driver if it is taken out in your name! You will have to add her to the rental agreement at the desk for her to be able to drive the car as well, there will be a supplement for this. yes and you will have to pay extra per day. Depends who the company renting the car is. Some like Economy Rentals include an additional driver at no cost, others however charge but you should check this when making your booking. As Atlas act as an Agent you would have to check with them as to which Rental Company they allocate your booking. Your wife will be classified as an additional drivers. To prevent/minimize possible problems down the road, I always list any possible additional drivers at the time of sign up. Sometimes a charge, sometimes not but good to get out of the way at the outset. Most companies will allow you to add a driver at some point during the rental- I.e., "I'm shaken up after seeing the flying saucer, please add my dig, Rufus, as a driver for the balance of the trip". They will understand. Check the small print on your contract, it is the norm that you have to pay for an additional driver, but some companies offer an additional driver free of charge as long as the are named. Yes, and most Hire Companies will charge extra. As Atlas Choice is only an Agent and not the Leasing company, you will only find out when the car is booked, which company you will be with. You will then need to check with them. I don't recommend this Agent - their customer service when a problem occurs is not good. If your wife drives in addition to you then yes she is an additional driver. If she is the only driver then no but I would recommend making the booking in her name. She is considered as an additional driver if you have inserted yourself as the main driver. Yes, any additional driver other than the person who hires the car is counted as an additional driver and will incur extra cost. By the way, you can take out an annual excess insurance in the UK that covers the excess in a cost-effective way, rather than accepting it at the hire car desk when you sign the contract. Watch out for Gold Car as I was ripped off by them earlier this year when they debited my credit card with over £1000 at the time of hiring as a surety against damage - they were supposed to reserve the amount against the credit card, not draw it unless there was damage or motoring fines incurred. It took several months to get it back and the additional currency exchange charges, and no apology as given! Yes, your wife will be considered an additional driver. The primary driver is the person who placed an order for car rental and whose name is on the credit card which was used for booking/payment purpose. If you share the driving yes she would be the additional driver . Dollar allow your wife as an additional driver for free and I have an Avis car at the moment and they allowed this in Canada. But most companies charge an additional cost for your wife. Yes. Anyone other than the named driver is an additional driver and an additional cost is usually incurred. Not all car hire companies charge but you have to inform them if anyone other than the named driver is going to drive the car. This must be done at the beginning of the rental and all drivers have to present their driving licence. With this company, everything is an additional charge, they even make up taxes that nobody ever heard before, so much the ground handler over on the destination told me they were not going to renew their contract because too many people complained about this once they get to their desk. Buy your car hire elsewhere. Has anyone used this company to hire a car from Orlando international airport? My first and only use of the company was to hire a car in RSA. It was very reliable and hassle free at point of collection. They are only agents, the service you receive will depend upon the hire company you are placed with. Please make sure you have all bases covered before arrival, as hire company, whoever they maybe, will try to sell you ad dons, be particularly wary of upgrade of your vehicle. I would look at who they are hiring the car from as like myself i am still waiting for the deposit back and i handed the car back on 01012016 always read the small print from the hire company they are going through as Atlas will do little to help if there is a problem as with mine i have stopped the card for the deposit. If it was me i wouldn't go through Atlas try someone else because the hassle you can end up with could cost you extra money that you thought you was saving going through them in the first place. used them last year without any hassle. bus from airport takes you straight to rental site....no messing about and you can get a good deal from them ......only thing is its a pig to find your way out of and to find your way back to ...but we used Sat Nav with no problem ....returning check out was quick and simple ....I personaly don't have a problem with this company . If I book car hire through Atlas choice what company will my car hire be with in Dublin? You will have to ask them direct. Be ready for hidden charges like road tax, they are not transparent about them. Bad customer service too, not worth it. I've used Atlas Choice for car hire in the USA and it's been different companies each time; it could be one of many. Will be identified on your booking confirmation form. It's likely to be Alamo or Enterprise but certainly one of the big companies I would have thought. You actually won't know who your provider is until you book as I presume the hire companies will all barter for your contract. Enjoy Dublin! ???? Ask them directly. But be advised, we rented in Aus and it was Ok but if we had booked directly with the hire company we would have had a discount. Try Worldwidereservations, I've used them for years around UK and they are second to none. Atlas Choiice will tell you the company name when you receive the voucher. Sometimes if you look at the Terms and Conditions it is possible to find out the provider company as well. For example you can look in advance at the pick up location. You should have clear information about the company and it's location as well as further details about how and where to pick up your car from when it comes to do your booking. For me, I was provided with a UK based contact number for further inquiries. Read terms and conditions well. I agree with JosephineS i am still waiting for my deposit back from Xmas and i handed back the car on 01-01-2016 this was for a company called Dickmanns who intentionally hold your money for 20-28 days after you have returned the car. Would not use either again as Atlas Choice Customer Service are not the most intelligent of people as they cannot even work out dates correctly. Would steer well clear!!!!!!!!! Atlas will search a range of hire companies based on the criteria you specify in your search. The resulting choices offered will show you a range of options of varying size of car, fuelling arrangements, insurance arrangements etc You choose the one with the options which suit you. You don't get to choose which company you hire from. Atlas are booking agents, too many reviews on here relate specifically to the individual hire companies. That would be like blaming Ticketmaster if you hated the Madonna concert you went to. Apologies for the late response. It was my first time, I booked rental through AtlasChoice. That's why I had series of questions. I did manage to ask a few by calling AtlasChoice (at time of final booking). One BIG QUESTION was about "Insurance Coverage". The response was that it was "ALL INCLUSIVE"! However, it was not the case! I rented the car from THRIFTY, who first wasted a lot of my time (2+ hours) after arriving CMN before I eventually got it. After I got out of CMN Airport, I had a motor biker hit the car & damaged front door/window glass. Cutting short, I was given a replacement car the next day. I had to get back to airport to get it. I was told that I would not be charged any amount (USD1540 approx., was held by THRIFTY as retention money, despite my arguing with them. I was told by Atlas Choice that it was fully insured. However, these people upon returning the car and my leaving CMN, charged my credit card for this amount, and I tried to challenge it, but they refused to respond. I simply could not do anything as I left CMN by then! I had to swallow this big loss, and learnt a BIG LESSON out of it! You can think along these lines, as and whenever you are in need of renting a car, with whosoever. I guess, you are better off because you are going to rent it from the UK (Dublin), and I guess you will be treated far better... I have no problem with AtlasChoice, except that they have not supported me to defend my case, and protected me to be deprived off this amount. A lesson learnt, and that's it! Wishing you All my best! You get to see before committing . I used Alamo in Geneva. One of my best experiences yet which was a huge surprise!! Could be any one of their partners, check your excess as I recently payed extra, took the gold package to give me zero excess only to find I had to pay and additional £169 at the desk. Atlas customer services very unhelpful, after many emails they still haven't explained it to me. when I booked mine they told me what company would supply the vehicle which was Thrifty and service was exccellent with no additional costs A previous booking through a different company landed me with Budget and resulted in hard sales pitch with hidden extras. Where are they in Birmingham airport and was that the total price with everything? So nothing else to pay? Atlas Car Choice are an on-line car hire search engine at www4.atlaschoice.com and the deal I got through them was with Green Motion. Green Motion's office is two minutes from the airport downstairs in Birmingham International Rail Station linked to the airport via a skytrain. The price I mentioned included everything I needed (no extras). Booking direct with Green Motion is possible but proved to be a more expensive option! I can't recommend Atlas. I had a very bad experience when I hired a car in Italy. The car hire company demanded an extra 200 Euros to cover insurance or I had to leave an open credit card, after having paid Atlas extra to cover any excess. I complained when I returned and they were totally unhelpful. Pay a bit more and go to one of the international firms, it will be cheaper in the long run. Does a shuttle pick us up from the Huatulco, Mexico airport to take us to the car? Will five people fit in the shuttle with bags? Will they drop part of us off at barcelo hotel on the way to get car, not all five with luggage will fit in the car. Is there an extra cost to have the car company shuttle us to get the car? List the mandatory extra charges that will be incurred at the rental counter, what extra are we required to pay if any? Hi. Atlas books on behalf of car-hire companies....Dollar, Thrifty, etc. When you book, you will be told what company Atlas has booked you with and Though I've not been to Mexico, I'd be surprised if the company you're booked with will not have some personnel at the airport either to direct you to a shuttle or the lot where their cars are. I'm sure everything will be fine. Good luck and enjoy. Atlas don't handle the actual car hire they just act as a broker and take a commission. Hopefully everything will go OK because in my experience Atlas are a terrible company to deal with and will just wash their hands of you if anything goes wrong. Normally the car hire firms they recommend are cheap but cheap for a reason. The ones I dealt with just ripped me off when I got there for additional charges for just about everything so the "cheap" car hire I thought I was getting turned out to be the most expensive. You should FIRST contact the specified car hire company for this detailed information. I wouldn't use Atlas, so suggest you find a more reputable firm where it is easier to find the answers. Could anyone tell me their cancellation policy please? The full policy is on their website. Cancellation Administration Charge Atlaschoice levy a charge for cancellation of any booking you are unable to honour prior to your collection date (see table below). No refunds will be given for rentals ended early, late collections, no shows or cancellations made after the rental start date, even if Cancellation Fee Waiver is taken. For vans and convertibles, no refunds will be given for rentals ended early, late collections, no shows or cancellations made after three (3) days before the rental start date, even if Cancellation Fee Waiver is taken. All cancellations must be made in writing. Please note that vouchers must also be returned and that cancellations will take effect from the date received by Atlaschoice. Vouchers must be returned as soon as possible and be received by us before the date on which they could be used otherwise no refund of any pre-payment will be made. Cancellation Charges Standard: Vans, Estate/Wagons and Convertibles: Cancellation Fee Waiver Upon payment of the Cancellation Fee Waiver price shown (if offered), Atlaschoice will waive your liability to pay any cancellation charges if you are unable to honour your booking prior to the collection date. For Vans, Estate/Wagons and Convertibles, Cancellation Fee Waiver is only effective if cancelled at least three (3) days prior to pick up date. If you wish to purchase this contractual waiver charge, you must do so at the time of booking. The amount paid for the Cancellation Fee Waiver will not be refunded. Refunds (minus the amount paid for the Cancellation Fee Waiver) under Cancellation Fee Waiver will be made within 30 days after the collection date. Atlas is a comparison site and as such I would expect that it is the policy of the actual hire firm selected whose cancellation policy would contain the information that you require. I have just booked a car for mid December and paid a relatively small fee for cancelation waiver, it think it was less than 10 Euro. Ring them and ask them. I had questions before I booked from the UK and they were very helpful. Go to Atlas choice terms and conditions on google. There is a table detailing the prices depending on the length of notice given. Sorry my experience is with the accident waiver cover I took out. . And which they have not paid out on yet after 4 months, even though I paid in cash to their partner company abroad. . Keep fobbing me off. they are highly inflexible and will charge you extortionate amounts to make any changes. They charged me 40GBP extra to pick my car up 3 hours *later* as my flight was coming in later. Yes read that LATER, i.e. I would be hiring the car for *less* time. Their agent in Italy then charged me 300 euros for scratches that were on the vehicle when I picked it up. AVOID. My credit card is a Spanish card and is not embossed. Is this acceptable? I think it is no problem if you have international credit card. I had used the israelian international master card, my american express is not acceptable. As long as it has the chip, can't see any problems as they use a card reader. I live in Portugal and their cards are not embossed either. From what I understand is as long as it is a credit card and not debit and has the 3 didgit security code on the reverse then it will be fine. As far as I know, ATLAS CHOICE is an online broker, so that should make no difference to a cc being embossed or not as the transaction will be online or by telephone. Until this year, I was using a replacement non-embossed VISA card which, with the exception of one supermarket (Morrisons), all outlets accepted and had a procedure to print a duplicate receipt which I had to sign. Don't know, but don't use Atlas anyway. I won't touch them after using them in September!!! I do not see why this should be a problem. Why not ring them and ask? Embossed numbers are a carry over from the old days of roll-over imprinters that left carbon imprints of the numbers on the forms which were read by optical readers. Assuming the vendor has electronic card readers you should have no problem with your new smooth card. There shouldn't be a problem. Most companies/countries now use chip and pin combination. Check with your bank to ensure your card is activated for international use and for in person transactions. Some cards are activated for Internet only transactions. Has anyone used Atlas Choice for car rental in Christchurch NZ? I have read some of the reviews and am getting very nervous about using them - on the other hand - the reviews I have seen seem to pertain to Europe and USA. Anyone got any comments? Please! sem problemas aluguei e correu tudo bem. Avoid atlaschoice! They are just a proxy for 'local' suppliers. No reviews, no additional information. They are good only when they charge you in advance. Our 'local' supplier rented us filthy 15-20 years old car with 32 000 mileage (clocked) and not to mention that the engine exploded later. After my complain, they were 'happy to assist with the communication to resolve dispute with the local supplier !?' Well, I cannot communicate with 'local' people I am afraid. Simply go for well known Hertz or Europecar or similar if you wish descent stuff. If a company is dreadful in several countries why would it be any better in NZ. I've not used Atlaschoice in NZ but I would NEVER use them ever again in any country in the world. Hi.. I used Atlas for Car Hire in USA recently. On both occasions everything went smoothly and though there was a bit of a wait...simply due to so many wanting a car, all else was perfect. i certainly would have no hesitation in using Atlas Choice again. I hope your rental goes OK.
Hi, I have used them all over the world, not in NZ or Aus though, and I have had one problem once where the car that I had requested and was shown on the voucher was not the car the supplier gave me. They rectified it in the end but what you have to remember is that AtlasChoice is just the agent but when I have complained to them about bad suppliers, they have removed them from their books. I use them 3-4 times a year and a lot of the suppliers are small, independents hence the reason prices are so low compared to going direct to the big companies like Avis. However, on occasion, I have found that big names have been the end supplier. My view is that as long as you call before collection to ensure that the car you booked is the car they will provide, be clear on where the supplier is located and how the car will get to you, then you are fine. The new website is better in that it allows you to specify whether its on or off airport, the fuel return type etc. Pick up the phone and book if you have specific requests like you don't want a meet and greet service etc and they will help you make the booking or guide you to do it online. Remember people usually only write reviews to complain so of course you will see a lot of negative reports but given how competitive they are, I think they are great value for money especially since you don't have to worry about any insurances and its worth just getting excess insurance so you don't have to pay out a penny in the event of an incident. I used atlas choice in Spain during the summer and had no problems at all but they are only a handling agent and its the company that you are getting the vehicle from is who you need to look at. Mine was europe car which where also very good even though i had a couple of scuffs on the bumper very small and difficult to see they didn't charge me for this and gave me back my full deposit. Not much more i can say really. Hope this has helped in some way. Haven't used them in NZ, but have used them in Ireland and France at least six times with various car companies (Sixt, Avis, Budget, Thrifty) without incident. I wouldn't hesitate in using them again. You wont have any trouble. Atlas are only brokers, the actual hire company will be identified on the voucher. Check out the track record of the company allocated. If you are not happy with them, ask Atlas to change supplier, they will happily do this for you. Atlas usually offer a range of price options, and you will find that you do get what you pay for! I have used Atlas Choice for a rental in Portugal, so this may not be of much help, but here goes. I made my reservation several months in advance. In the meantime I changed my email address and the day before departure I realized I didn't have the document I needed to collect the car and didn't even how much I had paid. I phoned, immediately spoke to a competent person who was exceptionally helpful, sending the documents again instantly and reassuring me I had in fact paid in full. To be honest I expect poor service from companies of this type, as reported by giozzevo, so I was very impressed indeed by their efficient handling of my problem. I had chosen the cheapest offer and of course this could have come from a potentially dodgy rental company. In the event the rental company was fine. But maybe to be on the safe side you should go down the list a bit and strike a happy medium as it were. I personally would not go for a big name rental company for cost reasons. I think that going through Atlas Choice it has to be possible to get reliable service at a reasonable price. Quite right. Do Not use them. What are their opening times at Faro Airport? We are expecting to pick a car up around 22:00. What happens if we are delayed? Atlas choice are only the booking agent.You need to check who the car hire is with. There are a few at Faro inc Goldcar and travel rent and they all have different hours. When i have collected cars from Faro after a certain time they charge an extra fee of 20 or 30 euro it will be listed on their web page when you find out which company you are getting the car from. They also take another 30 euro in case you use any tolls which they should give you back if you don't use the toll roads. I have this problem (delay for 4 hours). Atlas cant help(it is only broker). But i call to rent car and all was ok.
Atlas are a comparison site and will link you to a supplier at your destination. Different suppliers have different "out of hours" policy. At Faro our provider had an office in the car park and a short minibus ride to the car. You would have to check the detail of the quote but I would expect they monitor flight arrivals (the usually ask you for this info) and worst would be an additional fee. Basically check when booking. You should have a mobile number for the car supplier and you may have to ring them to come to the airport even at 22:00. You should compare hire prices with Argus.com as with Atlas you often have to pay out of hours collection/Return when you get there which can make the hire very expensive. Also look at excess damage cover in the UK which usually costs about £50.pa and is much cheaper than local excess insurance taken out locally but you have to pay excess where/when that accident happens and then reclaim it in the UK. I suggest you ring Atlas and ask your questions direct to them. I had excellent service. they open from 09.00-20.00 - but you can book pick up time later like 22.00 or 23.00. If you land 22.00 then ad 45 - 60 minutes to be safe. You also can add airplane company and number. I just rented car in Santorini a month ago. Arrival time was morning 04.00 but our plane was delayed 05.00 - but he waited for us because we should pay him the extra out of hours charge. Don't expect friendly service or a nice car! I am about to book for a car hire from Palma airport Mallorca. Will the pickup be in the airport Parking as all the other car rental companies are? Atlas Choice do not rent cars themselves - the car will be provided by another company. When I booked a car for Chania airport (Crete) the car was provided by Firefly, part of the Hertz group. As Atlas book through the cheapest provider you can expect an old banged up car, but it should still wok. Also be wary of the size of car provided. Mine was smaller than advertised. As to your actual question - it will be in the airport vicinity, but could be either at a counter in the terminal or in the rental car park. It will depend entirely on who the car is provided from, and you will not find out until after you have paid your money. Having experienced Atlas / Firefly in Chania I will not use them again, but we did get a working car so if cost is your only concern then it might be your best option. Atlas Choice is a car rental broker so they will get prices for hire companies that serve Palma Airport. The various quotes they provide should indicate whether that particular provider has on or off airport parking. I could have had the car delivered to the airport but I chose instead to have it delivered to my hotel. I find this much easier. All depends on what car rental company you have been allocated by Atlas Choice? You should get those details in your documentation from Atlas and then check with the company if it is not already stated by them. Depends on the selected hire company but almost certainly the answer is yes. Full details are included on your confirmation from Atlas. When I trsvelled to Orlando Florida, I picked up and dropped off the rented car at the car rental office just a few minutes drive away from the airport.It was a very easy process because all I did upon arrival at the airport was to call the car rental office from a freephone at the airport and within minutes they sent a shuttle bus to pick me up at the airport and took me to their office where I picked up the car I rented; and when I was departing Orlando at the end of my holiday, I drove the rented car to their same office outside the airport, dropped off the car and immediately they arranged one of their shuttle buses to take me back to the airport. My experience with Atlas Choice is that they usually use Hire companies that are off site, a short minibus ride from the airport. Check your booking voucher for full details. Hi As far as i remember, We were using Firefly car rental via Atlaschoice. As it is probably the cheapest company obviously they did not have the office on the airport. I think we had to go outside, and we had to look for a Shuttle bus somewhere in the car park. When we found it it took us to the place itself. They had ok cars, not very old and damaged. If you have firefly, than just ask somebody on the airport where is the shuttle bus located in the carpark. We found it in a few minutes, so you should be fine. I have never hired from Palma airport but would be very wary of any booking made through Atlaschoice as they just recommend a local car hire firm and they are not at all fussy about the standard of company they send you to. I would ask Atlaschoice who the company is then do a Google search on them to see if they have had lots of negative reviews. I suggest that you ask Atlas that question, they are like a broker, they deal with many Rental Car Companies to obtain the best price. It is true that Atlas Choice do not rent themselves but if you requested the pick-up from airport, the car will be in the airport parking. You also must realize that there is a big possibility that you won't get the car you wanted but something else in the same category. Does anyone know if there will a representative be there at 2200 hours if I book a car from Kefalonia airport? Hi, It was on OTOPENI (ROMANIA). He was holding a panel with my name, then we went together to take the car (1km away from the airport). I had originally wrote a very good review about Atlas choice. Unfortunately I have had further dealings with this company and I now find that the company is unreliable and actually do not provide what they actually state. I suggest you keep a wide birth from this company as they promise you the earth and do not deliver!! Atlas are Booking Intermediaries not a car hire company, whether or not a representative will be available will depend upon the car hire company that have been allocated. Receipt of your booking conformation will identify the car hire company you have been placed with,contact them and ask the question. I am quite sure that if a direct company representative is not available, alternative arrangements will have been made. How much deposit do I need to put down when I pick up one of their hire cars? Deposit is taken off of your credit card, just make sure you have enough funds available £1000 + should be fine. A little tip get your excess insurance online over here UK (moneymaxim.co.uk)to cover windows tyres underbody of car exhaust etc. These are not covered by rental company insurance so they sell you this when you arrive, obviously your decision to take it. In my experience its cheaper to take this cover out here. Be aware you have to claim for any damage from uk insurance, the car rental take excess from your card. To date I have not had to use but better on the safe side. We paid the full rental when the booking was confirmed- in our case this was at the end of January 2015 for a rental towards the end of February 2015. On arrival we had to sign a credit card slip for - I think- about €1500. This was incase of any damage to the car. This charge is not processed if the car is returned undamaged. Hope this helps! We were very happy with the rental. You pay in full, they will take down your C.C. details just incase of fines etc.. They don't need a deposit, but you have to have at least 700 pounds on your credit card so if you have an accident it pays for the excess. No deposit. You pay the entire rental fee when you make your reservation. Last car I hired was at Heathrow and they took 1200 from my card. Be careful as I returned the car and then they charged me for fuel that I didn't use. Thankfully I had photographic evidence to prove petrol in the tank when picked up and exactly the same when dropped off. No deposit was taken in Australia. Just credit card details. In my case it was 1200 euros which, in fact, were never used not even showed up in my credit card. I guess the amount has to do with the rental period and I rented for almost one month. However, what I paid for this so called protection ended up being more expensive than simply making a full insurance from the rental company itself and I found out that I was not really "so" protected. If something had happened I would have to pay and then go through an awful lot of rules to get my money back. The company's insurance would cover almost everything except drunk driving and reckless driving behavior. The problem is that these guys are only agents to a rental company and they simply DON'T EXPLAIN nothing of this. I have quote, before I confirm is the price quoted including all taxes and fees and do I pick up right at the airport? Please confirm asap so I can confirm the booking today. Yes it includes all mentioned. 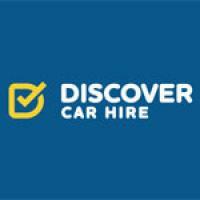 Does anyone have any experiences with Car Hire Rent, booked through Atlas Choice? I hired a car through Atlas in Tenerife. Everything went smoothly with the hire although the car had 107,000 km on the clock and broke down (the car was replaced at the breakdown site). The actual Car Hire company was called Orlando. You get a full tank and return empty. Orlando pick you up at the airport and take you to their offices just off the motorway. Hi garrulous, I booked a car thru Atlas in February this year and was very happy with them. The price was excellent and the car was from Thrufty in Cape Town. There were no problems at all it all went very smoothly. In fact they did not have my choice so I was upgraded. I had no problems and would happily use them again. Hired vehicle from girona airport to take to Andorra. You have to ensure you have all and I mean all the paperwork but the staff and the hire process was easy - in fact I did not have one piece of paperwork and the staff member went online and git it for me. The car itself was very new and was spacious and comfortable and we had no problem with it. All in all very good but as I say make sure you gave all the necessary paperwork or you could be delayed at best or even not able to take car. I have used Atlas twice in the past year; once in Feb 2014 in Orlando, FL, USA and again in Aug/Sep 2014 on Maui, HI, USA. Both times the Atlas price was approx. half what other companies were asking and both experiences were great. The pick up of the vehicles was very quick and smooth. Overall, highly recommended based solely on my two experiences. I will use them again. Hi garrulous, I have used Atlas Choice 3 times recently (Faro x 2 and Tenerife). Found them to be best price although cars are well used. I have not had a problem so far and have booked through them again for a trip in April. Have used them a lot in Australia and NZ. Never had any problems! I hired a car from Atlas in tenerife. The car was a Peugeot 207 absolutely immaculate, brand new. They had a policy of taking your car full of petrol and bringing it back the same. So many other companies do a condition where you pay for a full tank of petrol, at a much higher price than the pump price, and you bring it back empty so well done atlas fir that. It was a little difficult to find the office as we were given a name and address, we found the street, but the car hire place did not gave a name above the shop, it only had Hertz showing. So had to do a lot of asking. The man who served me was very pleasant indeed and I would definitely use them again as their prices were very competitive. I have booked in Morocco and had no problems. The car that I booked came via a different price comparison site. Have used them a few times. The local rep was very helpful, with speedy handover and a number to contact in case of emergency. I had to leave suddenly and returned the car, the rep answered at 2am so guess you can't argue complain with that response. Atlas sent me a discount for my next booking but their quote was beaten by someone else. The cars have been no problem although have had to change brake light bulbs once but no big issues. I have rented cars twice in Florida through Atlas Choice. Both times were a great savings and nice cars. They reserves the car at a local well known car rental agency. You print out the Atlas Choice voucher to show to the rental agency when you arrive to pick up the car as scheduled. There were no hidden fees and no issues either time. I would definitely use them again. Hi! I booked for the second time through Atlas for a small car at Belfast International last month and got what I consider an outstanding bargain for ten day hire via Budget. The vehicle performed excellently too, with no problems. One of the best hire experiences I've had, in fact. I certainly plan to use Atlas again when I can. I have used them on many occasions in South Africa, UK & the European continent. Amazingly they get better rates then applying directly. Had a poor experience with one of the rental firms in UK last year but that can't be held against Atlas &, in any event the two incidents when we were charged incorrectly were eventually resolved so they would continue to be my first choice after making some comparisons price wise to ensure they're still competitive. Can recommend based on my experience. Hello, I've booked a lot of times cars through Atlas Choice mainly in Porto (PRT) but also France and Dubai (UAE). I had always a good service and a very good price in comparison with other providers. The site is easy and the calling center is profesional. For the payment no problem, quick and efficient. Atlas choice offers a large choice of vehicles. An advice is to have a look before to choose the vehicle on the renting conditions and especially on the fuel policy. Choose for a company offering the fuel, it means to return the car as it was without no charge. It's not always the case but now, Atlas choice explains always the fuel policy. So don't hesitate to choose for Atlas choice wherever you travel. Used Atlas Choice twice in Las Vegas, Nevada, the first time worked very well, good vehicle with no price surprises. Second Time was also a good vehicle but the local "Partner" added on another $103.00 Atlas Choice apparently always uses a local Rental Company such as Alamo, Budget, Dollar, etc. we booked car hire thru this company when we visited portugal. we didnt have any problems with them - they comunicated well - and all transactions went smoothly. Hi I did ask more sepecifically if anyone had hired a vehcle for oickup at Dubronik Airport (booked with Atlas Choice) for a company called CAR HIRE RENT. That is feedback I would be very grateful for. We're on our third consecutive 28 day hire from Dublin. We haven't had any issues at all with pick up or return. Cars have all been through Sixt, and have all been excellent. No issues at all with the vouchers, and haven't had to pay extra. I am looking at renting a Jeep Cherokee Sport or similar. Can you tell me what the similar SUV options are please? Sorry can't help but give them a ring and they'll be able to help you! Doesn't it give possibilities on the website? AtlasChoice serves as an agent for various rental car companies. From what I can tell, they seek out the best deal, and that is what they offer to you. It then depends on which cars the rental company has on hand, or features. A couple of times we were sent to Ace, and once to Fox. Unfortunately, you don't know what company you're getting until the deal is complete. Sorry I can't help regarding SUV's as I've only used them for small compact cars. However, I have used AtlasChoice twice and would definitely recommend them for efficiency, smooth transactions, and highly competitive prices. Hi I used Atlas Choice When I went to Orlando in December last year and they provided excellent service but I did not rent an SUV. I rented a VW Jetta and it was very good car no problem at all. Please can anyone advise me on their cancellation policy for cars rented from Orlando Florida? I can't seem to find it on their web page. Basically, you can offset losing booking fees by purchasing a Cancellation Fee Waiver - but conditions apply! A summary is given below, but see their site for full information. Cancellation Fee Waiver Upon payment of the Cancellation Fee Waiver price shown (if offered), Atlaschoice will waive your liability to pay any cancellation charges if you are unable to honour your booking prior to the collection date. For Vans, Estate/Wagons and Convertibles, Cancellation Fee Waiver is only effective if cancelled at least three (3) days prior to pick up date. If you wish to purchase this contractual waiver charge, you must do so at the time of booking. Cancellation Administration Charge Atlaschoice levy a charge for cancellation of any booking you are unable to honour prior to your collection date. No refunds will be given for rentals ended early, late collections, no shows or cancellations made after the rental start date, even if Cancellation Fee Waiver is taken. For vans and convertibles, no refunds will be given for rentals ended early, late collections, no shows or cancellations made after three (3) days before the rental start date, even if Cancellation Fee Waiver is taken. All cancellations must be made in writing. Please note that vouchers must also be returned and that cancellations will take effect from the date received by Atlaschoice. Hope this helps. When I made the booking online it said on the website that there is a free cancellation up to 48 hours before pick up. I hope this helps. Sorry I can't really help you with this, as I've only used AtlasChoice in Cyprus. However, that went fine with no problems, and very cheap! All you have to do is to login to your Atlaschoice account. On that page you have an option to view, edit, cancel or modify your reservations. I have used this company many times, with no problems. If you have not bought the extra cancellation insurance for $12.47 then it is worth purchasing this extra insurance. Your cancellation and purchase fees will be refunded right away. sorry cant help - our car hire was in portugal - wasnt it stated in their T & C when you got your voucher? - maybe email them and ask for a copy? Has anyone dealt with Atlas Choice car rental at Las Vegas airport? Were there any issues? Used them in Corfu, good price,but you get what you pay for. Vehicle was a very underpowered 7 seater with no lugggage room. The roofrack looked home made .However it did get us around without any trouble. I have never dealt with Atlas Choice at Las Vegas Airport but have used them many times. My recommendation is to pay the extra $12.00 for a no fee cancellation. I was a little misled by my last encounter with them. I booked a car at the O'hare airport. My fee which I paid was $173.00 for the week. When I printed out the mandatory vouchers, there was another fee at the bottom of the page. This fee was another &177.00 which needed to be paid at the airport upon pick up of the car. I immediately went back into the site, paid for the "no waiver fee" cancellation, then almost right away, I was able to cancel my reservation penalty free. I got my refund right away. Read their paper work in complete. Don't be deceived about the final price. Enjoy! I have not used Atlas Choice in USA, but I have used them at Paphos airport, Cyprus, and was completely satisfied with the outcome and service. The price was unbelievably good, car supplied perfectly adequate, and new-ish with low mileage. They use local partner agents, so quality may vary with the different partners. I was very happy with them, and have booked the same deal for this coming March. Hope this helps. Yes I have I am disabled and told them before I left the UK as transport would have to accommodate this. I turned up after my flight tired and very hot. The bus for this is across from the terminal, but has no cover to the the area. The bus turned up after about 15 minutes, but had no lift to take my scooter or myself on board. The driver said that he would return to the depot and get the bus with the facilities required. After about 45 minutes another bus turned up but this to had no facilities. So the driver said he would arrange for a airlift transport (do not ask me what this is). This did not arrive and a further 20 minutes had passed and another bus turned up again no facilities and now I am totally too hot and exstremely hot. The driver said he would lift my scooter on boarded his bus, but I have extreme difficulty in climbing steps. I eventual got on board in extreme pain. Now I had to get off the other end it was punishment I was not expecting. When we booked the car out I remonstrated about the way in which I had been treated apologies were sounded but it did not make up for what I had suffered. I made it clear this was not to happen on my return. When we returned I was told the bus with the facilities was in the garage but would get another vehicle would be employed. The vehicle they got out was as bad as the bus as it was so high it was impossible to get in. To cut a long story short as I could go on was not one to be repeated. I am booking an SUV in New Zealand through Atlas Choice for substantially less than going directly to rental companies. Have people's experience in New Zealand been favorable? I have used Atlas Choice in Cyprus only, and i was happy with the outcome with no problems encountered. I have no experience in New Zeland with Atlaschoice but in Dubai. The price of atlaschoice was cheaper than onsite. Yes it is best and cheaper to go through a company like Atlas choice! You would probably end up with the same vehicle but pay a lot more! I am not sure about New Zealand. I used Atlas Choice in Orlando Florida in December 2014 and from my experience, they were the cheapest of the lot and their services from the online booking to picking up and dropping off car at the agent was fantastic, very easy and seamless. The rental car was very clean and no problem at all. I will definitely use them again. Have not used Atlas Choice in New Zealand but frequently use them throughout Europe. Have never encountered any problems and I find booking through Atlas Choice is always substantially cheaper; I think they put your request out to tender with reputable car hire companies and then come back to you with the cheapest quote? We have always had good cars, which have often been upgraded on pick up. I have used Atlas 5 times in Florida, USA and have been happy with them. You can't beat their price. Don't know about New Zealand. have used atlaschoice in Spain. No issues with them but be careful of the companies they promote. Read contracts carefully before signing. As for New Zealand, we did the South Island in 2009 hiring a camper van for the 8 days. Best way to see the islands. Only word of warning, use the recommended camp sites or parks. May be a bit more expensive but facilities and cleanliness are a lot better. Fuel was quite cheap but food is not! Mmm!Briefly I will explain my separate experiences one with Atlas Choice when renting in Spain, thesecond when 'renting' in New Zealand for some 3 weeks which had nothing to do with Atlas Choice, using a 'free' relocation camper van and private car (not rented, borrowed) As you know AC are agents and not the rental company. This in many ways absolves them from legal redress in UK under sale of goods and being of merchantable quality etc! I rented a car in Spain (summer 2014) only to find on arrival that the rental company, Sol y Mar, operated a "full tank, return empty" policy where the car is full on collection and must be returned 'empty'. NO CREDIT being given for unused fuel, and NO opportunity offered to rerun the tank full, unless an extra charge is paid on collection! This practice has been widely criticised as not being transparent at the time of booking as it's a nice little earner for the rental company, rather like an extra tax, when customers drive few miles. 'Which' magazine, the Spanish equivalent of 'Which', 'Money Saving Expert', BBC and more have all campaigned to change this practice and I'm pleased to say the major and more reputable Spanish rental companies have ceased. AC should take some responsibility for not pointing out these hidden extras at the point of sale, rather than referring customers to the websites of their partners in Spain! I took this up with AC however they just passed the buck back to Sol Y Mar! I eventually took this up with Santander Under Section 75 Consumer Credit Act, as my total paid was over £100. Santander are still deliberating! How does this help you? Just ask the right questions of the rental company in NZ, examine their fuel policy and maybe ask specifically if there are any extra charges to be paid either on collection or on return. We had the benefit of ONE free ferry ticket and were charged $5 per day 'rental', plus the diesel 'surcharge' travelling from Christchurch to Auckland. Check this surcharge which applies to diesel only it seems. Something to do with the way diesel is taxed and is linked to the number of miles covered, so payable at the end of the rental. Finally, I promise! 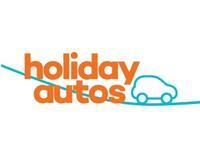 Have you considered an annual Car Hire Excess policy? Normally the fee is £50-£60 (inc.USA & Canada) for a stand alone worldwide policy to insure your excess on the rental, rather than be hit with an exorbitant fee at the desk! As it lasts one year it can be used for any number of rentals, usually of no more than 30 days at a time. Have a great trip! I am landing at O hare Airport in Chicago, Illinois. Is there a shuttle from the terminal to the Atlas-choice car rental location? Thank you. When I used Atlas I flew into Auckland, New Zealand but the car hire company they had booked my vehicle with did have a free shuttle service. There was a free phone service in arrivals for you to ring the hire company and they came straight round to collect you. I would expect different airports have the same service. Hope this is helpful. Atlas does not have a desk at O'Hare. When you book through Atlas Choice online, they will send you a voucher for your car rental naming the company (i.e. Budget, Avis, etc.) and instructions on how to get to their lot. You won't find an Atlas desk at Chicago or any airport :-). Atlas are a broker who match renters with providers. Once you book you will receive a voucher which will name the company supplying your vehicle. It will also include instructions on how to find it. All the rental companies at O'Hare provide shuttles to their depots, you just have to look out for the one you have been booked with and jump aboard. Atlas Choice books through other car rental agencies. You should be getting an email notification from them stating which company will provide your car. When I used AtlasChoice in San Francisco, my rental was through Budget. It went spectacularly well and I will use AtlasChoice again. Easy peasy. Read your confirmation paperwork. If you have to call a number when u arrive and drop it off to/from airport or if u just take generic ten a car shuttles to the specified carrier they negotiated through.... Ie. Payless, budget, etc. I've had it both ways. You also have to bring certain paperwork with you,as well. So read your docs ahead of time. Bring and sign whatever you need to bring and you wont be the one holding up the line for an hour trying to find it. The rental place will NOT have a copy of your agreement. Hi, haven't flown into Chicago only driven through the city. But in your booking with Atlas Choice, they will advise you the information that you require to take with you to your booking (confirmation slip etc.) and the contact details so that when you land and collect your luggage you will ring a number and they will tell you where to be picked up to go and do the paperwork and collect your car. Hope that this helps, seems to be standard across the board. Atlas Choice contracts different car hire operators to fulfil your booking. I think you will find Atlas are agents dealing with main suppliers & there will almost certainly be a shuttle - ring Atlas & ask for supplier details so you can check. Name will also be on hire voucher. I suggest that you will pick up your luggage, walk out of the terminal & there will be a line of named shuttle stops. Make sure you pay for all your extras with Atlas - cheaper than USA especially when jet lagged. Atlas performed well for me. When I used them in Florida, yes. All I did was to call the rental company via a free phone at the airport terminall and within 10 minutes they sent their van to take me to their office location where I picked up the car. We are hiring a car through Atlas Choice in Portugal, the local partner is EPI Rent a Car. We've added a child car seat and we're wondering if anyone out there has done the same, who could advise on the car seats? If you've got your own car seat a lot of airlines, if not all, will let you take it free of charge in addition to your normal allowance. You won't have to worry what car seat the hire company give you and if I remember the last time I looked at the cost it was about £10/day - nearly half the cost of the entire car!! Cancel Atlas [IF YOU CAN ] and go with avis or budget. I would recommend buying a car seat in Argos or similar and taking it with you if you can as hiring can work out so expensive. Depends on how long your trip is for. I'm sorry but I can't really help u with this. I hired a car thru Atlas Choice in Cyprus, but as I don't have children, I obviously didn't need child seats. I hope someone else can help u with this. You might find it less expensive to either take one with you, or if it is too bulky, just purchase one locally and discard it at the end of the holiday. You'll probably find that as with most extras, the daily rate to rent one is extortionate. My advice is to buy inflatable car booster seats which you can always use when travelling anywhere. They are very good and they meet all standards and regulations. All you do is put them in your luggage and inflate them when you get your rental car and when deflate them when you are done. They are weightless and very easy to inflate and deflate. The one I bought is called Bubblebum, I bought online from Amazon. My daughter made the reservation with her credit card. I am arriving in Dallas 12 hours prior to her. Can I get the car if she forwards me all of the voucher information? I only know Portugal and have just had to cancel a booking because I cannot pick the car up myself on the arranged date and even though I said I would send the money for the whole booking they said if I cannot pick the car up myself they would have to cancel the booking. the person picking the car up has to be the one who made the booking and with their card. I haven't been in this situation but I would have thought that there wouldn't be a problem if you are just taking on the booking without change, all they will want is a credit card to register the excess on and as you can pay for the booking with a different card from the one you use for that purpose, my gut reaction is that it will be OK. It may be beneficial to have an actual copy of the printed car hire voucher, rather than just turning up with the details, if you are able to arrange that with your daughter. You may find that the rental company will book you as an additional driver, which will possibly incur an extra fee, not usually a large sum and they may need you to return to the car hire office, once your daughter arrives, to register her licence details, in order for her to be covered on the insurance. As long as you are down as the lead driver on the voucher and have your own credit card to present to the agent you should be okay. However I would check with Atlas Choice just to be on the safe side. Good luck. Sorry, don't know. Probably not, if the rental is booked and paid for in her name. Worth her contacting the rental company to ascertain if you can. i don't believe so. since the reservation is in your daughters name, it's assumed she is the driver, thus only she can complete the reservation process. it might be possible if you are willing to pay the extra fee as an "additional driver" they may allow you to do so, but you'd need to check with atlas for that. I don't know the answer to this question suggest you contact Atlas Choice direct and ask them what you need to do. You will probably incur an admin fee if you are changing pickup times. This is difficult to answer, because Atlas Choice are only the brokers, they use many different car hire companies all over the world and each have their own set of rules which Atlas Choice does not make clear when you book through them. I would suggest you call the car hire company, not atlas choice, directly for the answer. In order to pick up the car, the person whose name is on the rental reservation and the credit card that the reservation was made with are both needed. There is an additional charge for additional drivers with most companies. I do think that you might be able to pick up the car 12 hours early provided you get all the details and that you are a named driver. also make sure that you are on the insurance. It might be wise to phone the hire company in advance. Trust this answer is of help. I would be surprised if they would let you pick up the car. It is in her name... and paid for by her. She is responsible. Is it possible to get Atlas to change to reservation to your name? I believe you have to supply a credit card, I don't believe it has to be the one that you paid for the voucher with, but as long as you have a credit card, drivers license, they MAY let you get it since you are related. Getting the car should not be a problem if you have the paper work. However, they are particular about the time reserved to pick up the car, so I would check that if you are coming in before the time she reserved. Also, they may change the rate or total charge if you pick up the car early. I don't know this for sure, but If you have the voucher you should be able to pick up the car. You might want to have your daughter fax or scan you a copy of her driver's license so the rental car people know that you have her permission to get the car for her. 1) Best to change it direct with Atlas Choice in UK before you leave. 2) If you BOTH wish to drive the vehicle BOTH of you need to be at the check-in desk on signing the agreement so you would have to wait 3) Try using rentalcars - they are usually cheaper 4) If your rental is with Doller Rent a Car - BEWARE - they add on charges not asked for and charge your card after you have got back home upto 4 months later for traffic violations which you have not done. Impossible if you are not on the contractual agreement as(and paid for an) additional driver i.e. yourself. Even so, some companies will insist that only the person contracted with the car hire company (through Atlas)can take the car with the production of the same credit card that the original agreement was made with. Nothing to do with Atlas. You will have to enquire with the actual car hire company. They might give it to you if you explain the situation but usually they want the person who made the reservation. I would have all the information on hand and try it. If they give you the car , it would have to be in your name now and you would be responsible not your daughter for the car. Unfortunately I haven't had this situation occur previoulsy but I don't think you'll have a problem based on previous pick-up experiences. The people at the counter usually just needs your reservation # and paperwork and you're good to go. They don't usually scrutinize that closely on who is actually picking up the car. The best bet would be to call the actual rental partner and explain the situation and see if it will be an issue. If you are named driver or additional driver you can pick up the car and pay for the excess on your own credit card. This information applies to Europe so I would check the small print for Dallas-good luck. In Ireland this is not possible. I brought the wrong credit card with me in error and my partner offered his but it was not accepted. Only the card in the name of the person making the booking would be accepted. Your contract is not with Atlas Choice, they're are merely a broker for the rental agency. The terms of the agreement are regulated by the specific rental agency which they have paired you with, Avis, Dollar, Hertz, etc. You need to contact the rental agency and verify that you will be able to pick up the car early and without your daughter being present at the time of the contract execution. I would think that she will have to present photo ID and driving licence.Possibly insurance also, if she has taken out separate cover. they tend to want the credit card also. Probably not. The person whose credit was used to make the reservation is the person who can pick up the voucher. Why was I charged online when I booked the car & also at the rental counter? I have been trying to get a refund. If you had all the necessary vouchers and emails from Atlas Choice you should not have been charged for the car hire at the rental counter. Suggest you contact Atlas Choice and provide them with all the necessary information. I was online charged online. The only thing they did at the rental counter was take a copy of the credit card. If you did not fill up the tank with gas as per whatever decision you made, that would be the only reason you should be charged extra at the counter. When you pay Atlas Choice online they provide you with a voucher to be presented to the agent. You should only have been charged locally for extras (requested by you) such as an additional driver, out of hours collection/return or their own insurance. If you refuse or don't require their insurance they will take an imprint of your credit card in case you damage the vehicle, but if the car is returned in the same condition it was received the card slip is returned to you. I suggest you get onto Atlas Choice as it's their agent and they should fight your corner. Please post the result here as it may affect us all in the future. Good luck. I was only charged at the counter for extras that I opt'd for inc fuel. I had the choice of not paying anything. HOWEVER, beware of Thrifty, who have a habit of adding in charges not notified at the time of booking. Mostly avoid THRIFTY car hire they are the worst company and will charge your card up to 6 months after your hire - keep all your paperwork. Are you sure you were charged for the RENTAL. The car hire co(not Atlas Choice,as others have said,will take a copy of your credit card for damage insurance NOT rental. This should only be charged in the event that you damage the vehicle,get fined etc. The only reason you should have been charged at the counter was if you used a toll road without purchasing their pass, if there was damage to the car, or if it didn't have a full tank of gas, otherwise you got swindled and I would check with Atlas. The same thing happened to us on one rental in Ft. Myers at the airport. When I realized it by reviewing my credit card, I simply an email, and the credit was promptly issued. I was fully prepared to put up a "fight" but everything went fine. Hope this helps. You shouldn't have been charged anything extra, other than swiping your credit card for the security deposit - which isn't taken off your card unless there is any major damage to the vehicle not covered by the insurance. My credit card was charged for for a full tank of fuel and also asked to return the vehicle with no fuel. When I collected my car from Thrifty at Orlando recently, I was told my credit card would debited for $250. This was refunded to my credit card a few days after I returned the vehicle. Did the salesperson not explain this to you? We have never been charged at the rental counter. We always bring the voucher with us (many times the counterperson doesn't even want to see it as we are already in their computer). They offer us the insurance (we always decline as we have personal insurance that covers the rental, a gas option, imprint our credit card and hand us the keys. I'm sorry to hear you "ran into" a counterperson who did not understand how AtlasChoice works. I hope AtlasChoice can recover your money and educate the car companies they deal with better. When you paid on line, Atlas should have sent you a voucher to show what you paid and with with you will get the car from the car hire company. Before you get the car, the car hire company will pre-load your credit card account with a pre-authorisation amount (a kind of security deposit) to cover any accidental damage. This will be returned (account freed from this amount) to you at the end of the rental period provided there has been no accidental damage. Any other real charge will be for petrol used and not replaced. if you paid Atlas Choice the total amount you would have received a voucher for the car. Any additional charges like gas, gps, insurance etc would be your responsibility and you would have to pay at the counter. I have rented on two different occasions with Atlas Choice both in the US and on both occasions there were no additional charges from the rental agency. I would suggest you contact the rental agency to determine the nature of the charges. I have had experience where the rental agency charged for upgrades, extra insurance, extra drivers or other such charges without my authorization. You should not have been charged anything at the counter as long as you had your confirmation number and paperwork that was emailed to you. I would contact Atlas directly to get your refund. They will probably need a copy of what you paid in order to refund. If not then I would involve my credit card company to deal with the refund. You definitely should call the rental car company for a refund. If you paid in full online, the only reasons you should pay addl't funds is if you asked for an upgrade, didn't fill the tank, requested insurance or kept the car longer...etc. You didn't state where you got the vehicle (country).....I booked one at the Baltimore/Washington Airport a couple months in advance, and when my plane landed I took the free shuttle to the vendor facility, presented them with my paperwork, and less than 3 minutes later was picking up my vehicle Totally hassle free. I found that traveling to other countries besides the USA can be tricky...A lot of the vendors there simply just don't care about service, and in many cases the "paperwork" gets messed up.... Your question doesn't give any information regarding the charges, etc. Tough to answer your question when a lack of details is presented. My experiences with Atlas have been positive, but then I am a "stickler" for detail when booking things. Locke James, Mar 27 14:17: I'm sure that when you book with Atlas choice that it tells you that there may be more to pay when you actually book in to pick up the car at your destination. One thing to be aware of is that different providers charge extra insurance for things such as drug offences which in most cases are not required. Please check with atlas choice website for terms and conditions. Hi there drl77 Have looked at all of the answers, and everybody seems to have picked up on all the reasons I would choose, so I'm afraid that i think that they have covered almost everything. I recommend that you always take your payment receipt with you to the rental counter to prove you have paid so they don't ask for further payment. Maybe you were charged for fuel or for cleaning the car if returned in a poor state or something else of this nature? the same happened to me back in December 2013 in Miami. I'm still trying to get to the bottom of it but AtlasChoice haven't been able yet to provide a clear answer; am now going to take them to the small claims court to get a refund; would you like to team up with myself to do this? There are some rental companies that do not allow debit cards. Does Atlas Choice allow debit cards? They will take payment for the rental by debit card but when you go to pick up the car, the rental operator (which is a different company from Atlas Choice) will require a credit card (NOT a debit card) for the damage deposit. The rental operator (which is a different company from Atlas Choice) will require a credit card (NOT a debit card) or cash for the damage deposit. I paid Atlas Choice by credit card, but had to give Atlas Car Hire (their rental associate in Sydney) a deposit to hold against fines etc. For this deposit Atlas in Sydney accepted by Australian Debit Card. I experienced no problems with Atlas in Sydney on this, the deposit was promptly refunded within days of my returning the car. Hope this helps. You would need credit card to secure the deposit required by actual rental company. They will take the card but NOT their agent when you pick up the car. I have had positive experiences with this company up to this past Feb. (2014). When I picked up my car in San Antonio, Texas there was an additional $100. charge from Alamo. I have NOT been able to get a response from AtlasChoice and I am NOT very happy about that! I am looking for a new company to deal with for my rental cars. There is a company that specialises in non credit card bookings but you will pay more than double for that service and they usually book through Avis. Agree completely with Migelle33 - As the Hire companies are only affiliates of Atlas they require the assurance of the Credit card for the Insurance deposit which should only be deducted should you have an accident. Always worth paying a little bit more though to reduce that excess as it normally tends to be ridiculous! I don't know about Atlas Choice, but at the time of rental the rental company will insist on a credit card imprint when you pick up the car. Their Terms and Conditions only specify credit card, without mentioning a debit card. However, even if they (Atlas) accept payment with a debit card, the actual local car hire company might not allow the release of a vehicle without a credit card for a pre-authorisation of any collision damage repair, or deduction of other (traffic violation) fines or fees incurred by the driver. I used my debit card with no problem and it was accepted. My car rental ended up being a part of Dollar Rental. I'm sorry, I cannot answer this. Problem with Debit cards may be that they cannot ringfence the deposit but would actually have to take the deposit and then return it provided it isn't needed whereas with a credit card they can simply ringfence it and get it authorised in case its needed. I appreciate that some people prefer to use debit cards. The other alternative may well be to offer a cash deposit, but this can run into hundreds of Euros, UK pounds, Dollars or whatever. Yes. I've always used a debit card. I booked a car rental on January 20, 2014 to be picked up at the phoenix Arizona airport. I have not received a voucher or a reservation confirmation. The pickup date is February 21-26. When will I receive a voucher or reservation confirmation? I received mine by email shortly after I received confirmation from their rental partner. If you did not receive confirmation or a voucher, my best guess is they were not successful in finding you a car. You need to contact them and also determine if your credit card was charged. I had no problems with the entire process, but based on reviews, some people had problems, but I didn't see any fraud reported. If you go to the website and click on "Access your booking" and then enter your email address and booking number, you should then be able to access all your booking details including the voucher which you can then print off. I have hired cars on 3 separate occasions through Atlas Choice. Each time it was for pick up in Faro Airport. Within 24 hours of booking I received an email confirmation which included details of where to pick up the car together with a voucher to be presented to the relevant agent in Faro airport. If you haven't received a confirmation email perhaps it's gone into your spam folder. You could maybe check there. You should have received at least a confirmation of your rental request very soon after your deciding to proceed with the booking. Then, at a latter stage they will send you confirmation of booking. Consequently, if you have not received the former (confirmation of request), you should contact Atlas to find out what has happened. I think that you should have received confirmation by return of email,in the form of a voucher. Try going to their site and than "ACCESS YOUR BOOKING". Maybe you will find your voucher there. You should have received the rental voucher by now, if not, e-mail or call Atlas choice, they don't have a number for North America. You probably created an online account when you booked your car, if so, go to their site & sign in, click on ''Access your booking'' tab on the right top corner and you will be able to see your voucher and print it, or e-mail it to you.. You should not approach any car rental company when you arrive to Phoenix if you don't have the voucher in hand. No one will help you. All the best. I would NEVER recommend this rental service! Horrible experience from the start for me. NEVER received a confirmation email, had to finally call them just to receive a confirmation number. Once I got to the pick up location something "wasn't entered correctly" in my online reservation so pick up took forever. Worst part was once I dropped the car off. My reservation was a one way from San Antonio, Tx to DFW airport. I had the car less than 24 hours. When I booked the car online NOWHERE was I informed that one way reservations had a $150 drop fee! And when I finally requested my confirmation email it was not stated in that either, just a quick note and confirmation number. I didn't know anything about the drop fee until two days later when the fee overdrew my checking account. When I called to inquire about this and expressed how upset I was I received the most disappointing "customer service", or the lack there of. The lady I spoke with actually started arguing with me about how I was wrong and didn't pay attention to my reservation information. I even printed off and faxed her the communication I received from their company. Bottom line, it took me 12 weeks to appeal this through Atlas & my bank. WILL NEVER USE THEIR SERVICE AGAIN!!!!!! Book at your own risk, HORRIBLE customer service!!!!! Suggest you give Atlas a call as you should have had something back by now. They were really very efficient when I used them just after Xmas. Hope that helps. You will receive it closer to the departure date. Please contact the service center a week before to follow up. We went to San Francisco on short notice. And it was a bit unsettling dealing with a company in the UK at first. We now have a lot of confidence that Atlas selects its partners with a great deal of care and has a lot of experience. Follow the link to your reservation located in one of your emails from Atlas Choice. You should be able to print your voucher directly from the Atlas Choice Website. Same thing just happened to me and I was able to print the voucher from the link. This is my second booking with Atlas Choice, the first went very smoothly, saved a lot of money. You need to check your emails again. On the email rental is confirmed there is. Link there to go to to get your voucher. It seems something has gone wrong, or you haven't completely reviewed the messages they have sent you. Almost immediately upon booking, we received several confirmation emails with all the pertinent information. They did include this link, to check things out. Suggest you try immediately. We would like to take this opportunity to remind you to check your Voucher, Dates and Car Rental Terms and Conditions carefully prior to travel – you can log in to your booking by clicking “ACCESS YOUR BOOKING” at any time. We found that they really didn't need the voucher. However, you should have some kind of confirmation by now, especially if you prepaid (which we did). If not, I would call the toll-free number. Hope that helps. I rented with Atlas and dont remember getting a confirmation either. But I did get an email saying it was with budget I showed up to budget counter and had no issues. They are kinda un orthodox but I did save a few hundred by using them as taxes in az are high for rental car. I always get something in an email within a day and the conformation within 3 days. Get on Skype and give them a call. I used them twice and the vouchers arrived by email within a few hours. I'd call their Customer support immediately. Please recheck the emails you received when you booked. I received 3 emails at once; one of them contained a link to the voucher. Hope this helps. Hi re the voucher,I was in the same position as I was told the voucher would follow within 24. Hours.you need to go into the various e mails you get from Atlas,there is a link within the info which brings you to Green Motion . Press the link and you will find the voucher.I read the small print for once and it asked for 2 printed vouchers.I did this but when collecting the car I was not asked for it.For piece of mind, I did what I was told,I hope this helps. Booked a car with atlaschoice october 2013 They were a tad late meeting me. About 15 mins Was taken to the airport car park filled in paperwork showed my driving license and the car I ordered I actually got. It was far cheaper than other car rentals and did the job. I was told to drop car off at petrol station near airport and they dropped me off at the front door of airport. Would suggest get the local number of the rental company before you leave so you can call them direct. Woukd book with them again. You should have received a voucher/confirmation within 24 hours of your booking. If you booked through their website, you should have received a confirmation within about 24 hours. This confirmation IS your "voucher" with the AtlasChoice, internal, reservation/confirmation number (which is NOT the confirmation number for the rental car company). I concede that their website uses the term "voucher" rather loosely. If you never received an email from AtlasChoice after booking, try opening a help ticket. Have you checked your credit card account to see if a charge by AtlasChoice has shown up yet? It should have by now. If so, there may be some reference information you can provide AtlasChoice to help find your booking. You should have had confirmation straight away and voucher within next few days, I would phone and ask if there was a problem. If you are concerned I would contact them by phone or e-mail, I used them extensively in 2009 when my son was in hospital in Innsbruck, we were there for seven weeks in all and I had to renew the hire agreement 3 or 4 times because of the uncertainty of our situation. On every occasion I found them incredibly helpful and quick to respond. In 2013 I hired cars in New Zealand for a month on each Island through the website and they were quick to respond with the vouchers. In all three hires, in Austria and North and South Islands of New Zealand I found the actual hire firm on the ground to provide excellent customer service. Atlas Choice provide outstanding value for money and they use companies with a very high standard of customer service! The conf can take 24 hours or so.The voucher should be sent once you have paid in full. If in doubt email them.They also have an online chat line. You should have received at least two responses within two days of booking. The first would have been from Atlas confirming your request and that they were in process of booking it with a local vendor. When they've booked it with a local vendor they send another email giving you the vendor name and contact info. then you should receive email from the vendor confirming the arrangements. In the meantime you should receive confirmation from a third party credit source that your payment has been processed. Suggest you check your email SPAM folder for these as your ISP may think it's junk mail originating outside the USA - Atlas is based in the UK. We receive an email confirming purchase immediately followed with an email with a link to the voucher. The second email usually arrives within a couple of days. I would suggest you email the company requesting that second email be resent to you. Also, you should be able to access the website with your confirmation number to obtain the voucher. Hope this helps. We have not had any issues with renting cars from Atlas so far. I have only used Atlaschoice once and everything went perfectly, a very stress free and enjoyable experience. You should have received a pre-paid voucher as soon as your booking was confirmed, which should have been within a day or two of requesting your car hire, so you need to contact Atlaschoice and find out what the problem is ASAP. Have you had anything at all back from them? If not, it may be that your email address with them is incorrect. Get in touch with them straight away and sort out what the problem is, or you may run out of time to get it sorted! Suggest you e-mail the broker with whom you booked your car. Usually you are given a booking reference when the broker confirms the booking and you normally are informed when the voucher will be issued. The voucher provides information about the car hire company that will be providing the vehicle and where you will have to contact them at the airport. Good luck !! My reservation confirmation and voucher was sent a month before I went. I would imagine that yours should have been sent when you booked it. I received 4 emals immediately following booking. One of the emails had a link to voucher (despite one indicating it was to have been mailed). I have copies of everything, which I plan to take with me in June when I pick up the car. Get/keep copies of all transactions. I am looking to rent an economy car in Phoenix Arizona mid February. Is the location at the main car rental building with a continuous shuttle from the Phoenix Sky Harbor airport? I am concerned about paying in advance to a company I have never heard of. HI, I don't hnow about the rental car facilities in Phoenix because last december was my first time with Atlas Choice and it was in Ft Lauderdale,FL. Like you I was septic with this Europeen compagny but I went ahead anyway. The whole experience was great. Everything went as planed. They booked me via Fox rental. I had to take two shuttles from the airport to pick up my van but the price I paid was worth it. I hope this will reassure you. Sorry for my writing but english is'nt my first language. I have rented from Atlas Choice from the Phoenix airport (vie Internet) and it was great! Best price I could find and everything done over the Internet. There is NO problem with location because they use the major rental companies - they are just a 'provider' of the service. Atlas Choice does not 'own' cars - they deal directly with the major companies. Once you do everything on line they find the best deal and send you the name of the company and they have, for me, always been major companies located in the airport or at the airport car-rental location (and a shuttle is always provided by the rental car company). I understand your concern, because I felt the same when I rented through them in December, 2013. Atlas was very reliable, you can even call them and talk to them about your airport shuttle concern. Your question is quite similar to another one already asked here. Have a look at the answers to the question asked by kp53 on 4th January 2014. I have not booked a rental from Atlas out of Phoenix but they tend to work with name brand rental companies and they are housed in a separate car rental building about a 20 minute shuttle ride from the Phoenix Sky Harbor airport. I rented cars through Atlas Choice Las Vegas airport, more than five times. I never had any problem. I had no problems with them in Ft. Lauderdale. They are not a rental car company, just a booking agency. If you rent through Atlas, they will book you through one of the major agencies and location will be wherever the airports main rentals are processed. I was in Phoenix last summer and I remember that it was a nearly continuous shuttle service. The building is off the airport premises and it is a 8-10 minute drive from the pick up point. The car rental building is several floors high and all rental agencies are there. Hope this helps. How do you know when you book in advance, which car company will be yours and if it is in the terminal? I don't want to take a shuttle to get my car in Fort Meyers, Florida, as all the big car agencies are on site. It also sounds like you are not guaranteed the car you booked until 3 days prior. I am also troubled that there is no phone number to contact anyone if there is a question or problem. Help please. Anyone out there have the answers? Your prepaid voucher shows the name of the rental company and telephone numbers you can call either from the UK or abroad. As far as I know Atlas only use mainstream rental companies such as Avis or Dollar. Again, as far as I know only the class of vehicle is guaranteed not the actual vehicle e.g. although the pricing page may show a photo of a Jeep Liberty you can only be certain of getting an SUV. If for any reason the class of vehicle is not available the policy of the mainstream rental companies is to to upgrade you to the next category free of charge. Hi there,when I book with the main Company, as far as I know they arrange which supplier they hand over the booking to and if it's a shuttle service or at the airport. We have had one where we had to collect the car in Alicante in the evening,so I rang the company I booked with and they changed it. It didn't cost us anything and it was straight forward. We always book a small car so it doesn't matter to us what car we have and all the cars we have had are nearly new cars. Car Companies do put a bit of pressure on to take out extra insurance which costs more than the car hire. We never take the option and they can't make you take it. Hope this helps a very happy car hirer. I have never had a problem. That is not to say I will not in the future, however, they send you the name of the company on the prepaid voucher. To date they have all been within the airport or there is a shuttle provided by the rental company. There is a phone number listed on the info I receive in my email. It is international but with Skype (or another company like Skype) it is simply a matter of getting on line if there were to be a problem. Hope this helps. Before I booked my car rental, I also wondered what car rental company I would end up with. The trick I found, completely by accident, was to save the quote before I committed. By email, I received a copy of the quote with the name of the car rental company! I was then able to determine if it was on airport or off. In regards to your concern about the car not being guaranteed, it's not true. I booked a premium car, 3 weeks in advance, and that is what I received. If you mean a specific make & model, no car rental company I have ever dealt with will guarantee that in advance. Atlas booked Fox Rent a Car in Ft. Myers for me. They're off-airport [about a 7 minute shuttle ride]. To Fox's credit (or maybe just dumb luck) the shuttle showed up right away. The car class (and example of make/model) were held for us. Does the final price in the quote include all taxes and fees? Yes, There was nothing else I had to pat the counter...unless you ask for extra insurance or an upgrade. On your confirmation it will tell you what company you will get the car from...mine was Budget. So, don't look for Atlas Choice at the airport...it will be any of the companies. I had the same experience......no additional cost(budget). I did however include a fill-up so I could bring the car back empty. It worked to my benefit as gas increased .12 while I was there. Great Experience with Atlas Choice. Generally you pay all up front. In December I paid only for the car and then the tax at the counter was charged to my card. So, it has worked both ways for me. Yes, all included. Just decline all options when at the counter. Yes unless you ask for extra. You would need to pay a refundable security deposit at the pick up point though. This is just in case you damage the car. The amount will be refunded when you return the car if all is well.